Einstein's quote still evokes thought and reason in today's ever changing world view. 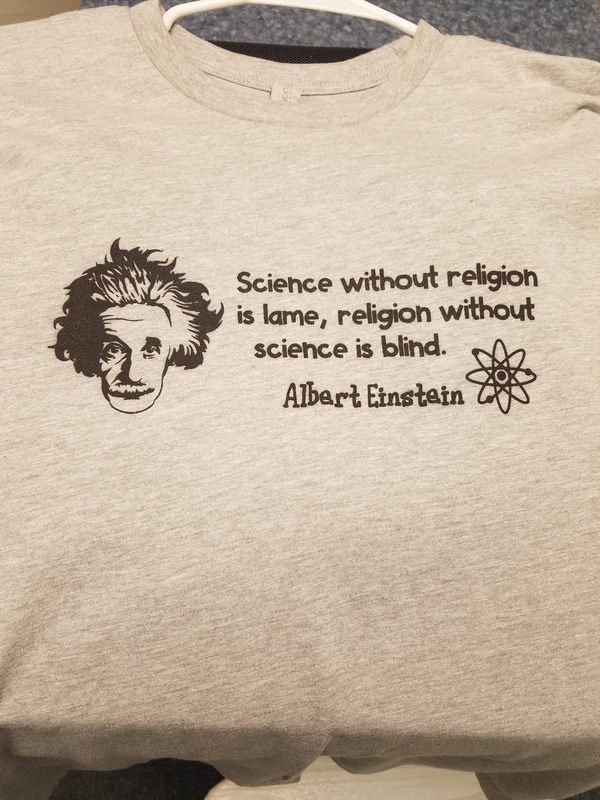 Religion vs Science... Get your shirt displaying one of Einstein's many lasting quotes. Printed on ringspun cotton and available in white or gray with black lettering.